Disappearing text in Breezing Forms / FacileForms text area when clicked. 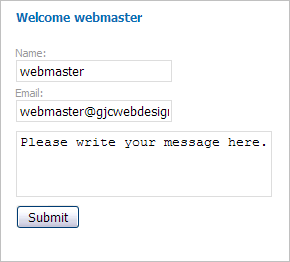 It is useful to have some information text in the Breezing Forms / FacileForms text areas or text boxes. Make a normal Breezing Forms / FacileForms textarea element. 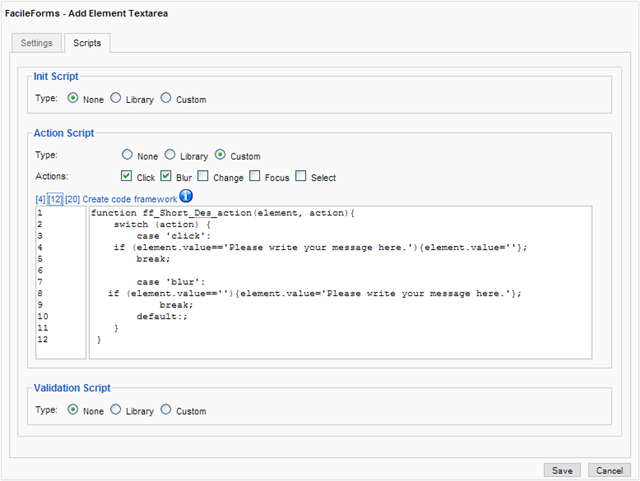 The function name "ff_message_action(element, action)" must have the element name as the first portion. In this case the textarea element is named message.